Weight loss and fat loss are two terms that seem like they could be used interchangeably. In fact, these terms often are. However, they both refer to very different concepts that are important to understand so that you can have a clear picture of what your fitness goals actually are. By not understading the difference, you are setting yourself up for frustration and disappointment. Here are two things to keep in mind so the confusing terms don’t end up causing you to lose faith in your objective and decide to just give up on it all! Your body is made of muscle, fat, bones, and organs. All of these things weigh something. Generally speaking, when somebody says that they want to lose weight, what they really mean is that they want to lose fat. Unless you have a type of disease that affects your bone mass or organ size, these aspects of your overall weight are mainly static. However, the amount of muscle and fat in your body can change very drastically. Since muscle weighs more than fat, people who begin to work out can become very frustrated when their efforts are yielding no changes on the scale. Some people even gain weight despite following a good program. It seems crazy, but many times a heavier person will be much more fit and look amazing, because of the work they have put into muscle building and sculpting, while a person that weighs a lot less may look very soft, flabby and unfit (and in fact, they may be very unfit- we call this skinny fat!). Which brings me to the next very imporatnt point about individual body composition- do not compare yourself to anyone else! Everyone’s composition is different and you will build muscle and lose/gain fat at a different rate than your friends, no matter if you have the same starting point and do the exact same series of exercises for exactly the same duration and eat exactly the same food. Once you establish your true goal, which usually is to lose fat (not weight!) 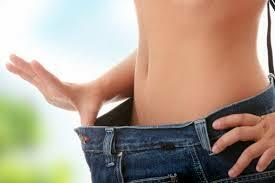 so you can look and feel better, it is important to preserve and build up your lean muscle mass while losing fat. Simply going on an extreme calorie restrictive diet without adding any exercise will provide you with weight loss, but you may not look much better in the mirror. Your body will lack definition because you will be losing muscle along with fat. A combination of diet and exercise is what will provide you with the results most of us are after. Since the building of muscle while you work out can cause confusion on the scale, it is best to seek out other methods of measuring your progress. Get yourself some measuring tape and a pair of calipers to measure your body fat. These tools will give you a much better idea of the progress that you are making. Or take a much less sophisticated approach- try your tighter clothes on every few weeks and see if there is a difference. Looking better in the mirror is not all about weight or even fat loss. The biggest factor in your body’s appearance will be the amount of lean muscle mass that your body has relative to the amount of fat that it has. If you focus on losing fat without worrying too much about the number on the scale, you will have the correct mindset for committing to a proper fat loss program. Many people have unrealistic goals for fat loss, mainly because they do not appreciate that losing fat at a slower rate by making life long changes to eating habits and estabilshing a workout routine that is fun and enjoyable (read: sustainable), takes time and patience. Quick losses are rarely sustainable, and they usually are attained through unsafe practices. Get professional help from a certified personal trainer, and set yourself up to succeed. For a free consultation: info@mvfit.com.